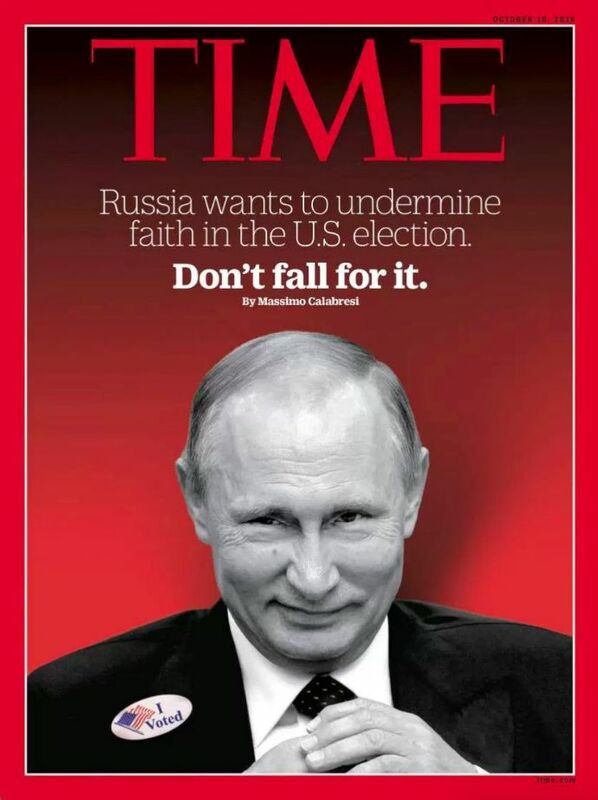 Prior to the U.S. election, Hillary Clinton’s campaign, and the Obama White House, were saying that Russia’s President Vladimir Putin was aiming to make Americans distrust the results of the November election. Of course, at that time, Clinton was considered almost certain to win. 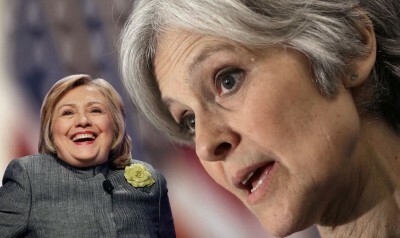 However, after Clinton turned out to be the loser in the election’s initial results, the face on that magazine-cover ought to be Jill Stein’s, instead of Vladimir Putin’s, because Stein is actually the person who turns out to be the prime mover in the attempt to discredit the initial outcome of November’s election. So, all of that professor’s sources were anti-Russian and accepted U.S.-government propaganda without question — and furthermore cited sources as being evidence for hypotheses that they didn’t actually support. Both CNN and the ‘alternative news’ site alternet, and other ’news’ sites, quoted the Clinton campaign’s lawyer, Elias, who wrote at Medium, that, «just yesterday, the Washington Post reported that the Russian government was behind much of the ‘fake news’ propaganda that circulated online in the closing weeks of the election». (Was he referring to the fake news at sites, and print-publications, such as TIME? No.) On November 27th, I headlined «The Lying Washington Post Gets Exposed, And All Major U.S. ‘News’ Media Refuse To Report It», and documented, both from my own research and from the research by two reporters at The Intercept, that the Washington Post ‘news’ story cited there by the Clinton lawyer was itself fake ‘news’, an outright lie. Instead of America’s ‘news’ media publicizing the exposing of the hoax by the Washington Post, which had been based upon a hoax started by unnamed persons, America’s ’news’ media, and the Clinton campaign’s lawyer, were still citing that hoax, by ‘PropOrNot’ and spread virally now by the WP and other U.S.-government fronts, or ‘news’ media, as being their authority.